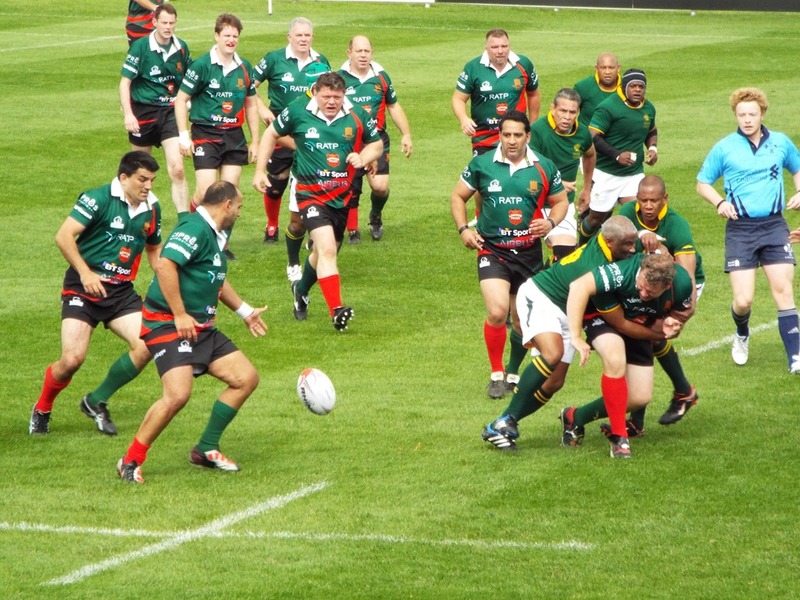 The second day of competition for the Parliamentary Rugby World Cup took place at Richmond Athletic Ground, the home of Richmond Rugby Club, one of the founding members of the Rugby Football Union. The teams had a day of rest after the games at Rugby School although I’m not sure how much rest many of the players got. I know the Australians went to Stratford-upon-Avon for some Shakespearian culture before visiting Blenheim Palace, unfortunately leaving five of their number behind in Stratford. They managed to be reunited back at the hotel and cut the evening social session short as they had to leave their a ccommodationnear Oxford at 9am to get to Richmond. Meanwhile, The Commons & Lords were invited by the New Zealand High Commissioner to a reception at New Zealand House just off Trafalgar Square. The building itself is quite unassuming but the reception was held in the 17th floor penthouse with breathtaking views of London from its all round balcony. I was due to leave to go to Greenwich for the official welcome ceremony for the French squad but after a couple of sips of the wonderful Sauvignon Blanc being served at the reception I found myself questioning the need for me to attend. I checked the invitation and when I saw that there wasn’t any catering provided I took the decision to stay and enjoy the Kiwi hospitality. Naturally all the Commons & Lords team members were availing themselves of the beer, wine and canapes on offer but when I had a look at the New Zealand Parliamentary players they mainly seemed to be drinking orange juice. Clearly they were taking the defence of their title very seriously. Unfortunately, I left my camera in the back of a taxi so no pictures if the evening other than the panorama at the top of the page taken on my phone from the balcony. So on Tuesday morning there were a number of players from all the teams looking a little jaded as they arrived at the ground but once the games kicked off all thoughts of lack of sleep and hangovers were forgotten. The Commons & Lords were first up against South Africa and despite losing two players taken off on stretchers they put in a much better performance than on Sunday. However, the South Africans played a fast and skilful brand of rugby and won, scoring three tries without reply. France were persuaded to play the Welsh assembly team despite their reservations about many of the players from the Principality being under the competition minimum age of 35. The fact that the French lost by three tries to one makes me think that we haven’t heard the last if it. In the other matches, New Zealand beat a spirited Congreso XV from Argentina 17-3 while Australia were comfortable winners over the Barbarians. This means that the title will go to one of the two Antipodean sides, probably Australia if they beat South Africa unless New Zealand can beat the French by a cricket score. The evening was a little more subdued as the coaches had to leave for the various team hotels at 7:30pm and I took the opportunity to head back to my own hotel bed as there was an early start in the morning while I accompanied the Australian team on a tour of the Houses of Parliament. Home of Richmond Rugby Club indeed! Richmond Football Club, I think you will find! Having joined Blackheath Football Club in the 60’s, moved across to Richmond Football Club in the early 70’s and on relocating to Sussex in themed 70’s to joining Brighton Football Club, I still struggle to say Ely Rugby Football Club! Hi Max. Having been brought up and played locally I am well aware the correct name is Richmond FC, but I would have felt obliged to explain why it isn’t RFC which would detract from the true subject matter. Will the UK team now select Mr Corbyn ? if so – will he sing the National Anthem ?